Nuvo Lighting - Energy Efficient - DISCOUNT COUPON! Nuvo Lighting is the new answer for energy efficiency in fluorescent lighting. Founded in 1966, SACTO launched NUVO lighting in 2005 to address the demands of energy efficient lighting as well as those State and Federal guidelines imposed by the government over the last few years. It is all about Green, as NUVO says; the environment and your pocketbook. With a wide variety of Energy Star� flush mounts, pendants, chandeliers, wall and vanity fixtures, NUVO is on the cutting edge of development and design for all lighting fixtures required for today�s modern construction. 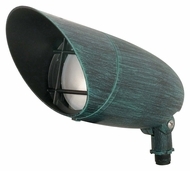 In addition, NUVO features an eclectic selection of outdoor fixtures in a distinct Mediterranean flavor. NUVO embraces transitional, traditional and contemporary styling throughout their entire line, while offering the most update fluorescent fixtures available on the market today. For smart, savvy, and style, choose NUVO.